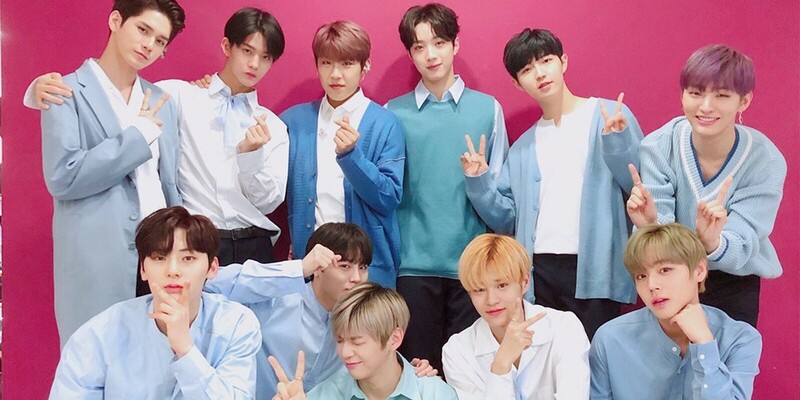 Wanna One was voted the stars with the best fandom. 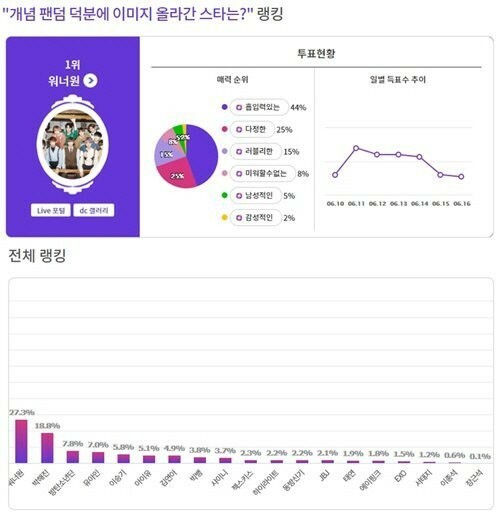 A poll titled 'Which star's image went up thanks to their fans?' ran on ExcitingDC from June 10th to June 16th, with 6,261 votes. Wanna One gained the most votes with 1,709 (27.3%) votes. Actor Park Hae Jin was voted 2nd with 1,174 (18.8%) votes, and BTS ranked 3rd with 487 (7.8%) votes. Others ranked include Yoo Ah In, Lee Seung Gi, IU, Kim Yuna, Big Bang, SHINee, Sechskies, Highlight, TVXQ, JBJ, Taeyeon, A Pink, EXO, Seo Taiji, Lee Jong Suk, and Jang Geun Suk.